You will find below the horoscope of Jamie Thomas with his interactive chart, an excerpt of his astrological portrait and his planetary dominants. If you know the time of birth of Jamie Thomas, we would appreciate it if you would send us your information with your source, at stars@astrotheme.com. To thank you for contributing to the enhancement of our astrological database, we shall be glad to send you the astrological portrait (34 pages) of this celebrity. Horoscopes having the same aspect Mars square Saturn (orb 0°22'): Mila Kunis, Charlie Chaplin, Gerard Butler, Emma Stone, Rachel McAdams, River Phoenix, Johann Sebastian Bach, Claudia Schiffer, Stephen Arroyo, Jean-Luc Delarue, Jamel Debbouze, Carole Bouquet... Find all the celebrities having this aspect. Horoscopes having the same aspect Sun square Saturn (orb 0°32'): Emma Watson, Oprah Winfrey, Charles Manson, Joseph Stalin, Salvador Dalí, George Harrison, Jane Fonda, Lenny Kravitz, Fidel Castro, Arnaud Montebourg, Malala Yousafzai, Billie Joe Armstrong... Find all the celebrities having this aspect. Celebrities clicked on in real-time: 576,417,941 times. Jamie Thomas (born October 11, 1974), is an American professional skateboarder and skateboard industry magnate from Dothan, Alabama. He is the co-owner of Zero Skateboards and Fallen Footwear. Thomas started skateboarding at the age of eleven. He was first sponsored in 1992 by Deluxe (Thunder trucks, Spitfire wheels and as a flow rider for Real Skateboards). This prompted him to move to San Francisco with his friends Sean Young and Hurley. While living in San Francisco, Thomas turned pro for a short-lived company, Experience Skateboards. Thomas then went on to ride for the San Diego based Invisible Skateboards. After relocating to Southern California in 1994, Thomas was featured on the cover of Transworld Skateboard magazine and had video parts in the Spitfire and Invisible videos. Here are some character traits from Jamie Thomas's birth chart. This description is far from being comprehensive but it can shed light on his/her personality, which is still interesting for professional astrologers or astrology lovers. 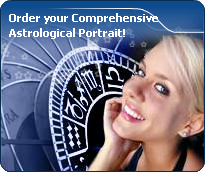 In a matter of minutes, you can get at your email address your astrological portrait (approximately 32 pages), a much more comprehensive report than this portrait of Jamie Thomas. Warning: when the birth time is unknown, which is the case for Jamie Thomas, a few paragraphs become irrelevant; distributions in hemispheres and quadrants are meaningless, so are dominant houses and houses' accentuations. Therefore, some chapters are removed from this part. Cheers for communication and mobility, Jamie Thomas! The predominance of Air signs in your chart favours and amplifies your taste for relations and for all kinds of short trips, whether real (travels) or symbolic (new ideas, mind speculations). You gain in flexibility and adaptability what you lose in self-assertion or in pragmatism. The predominance of Water signs indicates high sensitivity and elevation through feelings, Jamie Thomas. Your heart and your emotions are your driving forces, and you can't do anything on Earth if you don't feel a strong affective charge (as a matter of fact, the word "feeling" is essential in your psychology). You need to love in order to understand, and to feel in order to take action, which causes a certain vulnerability which you should fight against. Jamie Thomas, the Cardinal mode is dominant here and indicates a predisposition to action, and more exactly, to impulsion and to undertake: you are very keen to implement the plans you have in mind, to get things going and to create them. This is the most important aspect that inspires enthusiasm and adrenalin in you, without which you can grow weary rapidly. You are individualistic (maybe too much?) and assertive. You let others strengthen and improve the constructions which you built with fervour. After this paragraph about dominant planets, of Jamie Thomas, here are the character traits that you must read more carefully than the previous texts since they are very specific: the texts about dominant planets only give background information about the personality and remain quite general: they emphasize or, on the contrary, mitigate different particularities or facets of a personality. A human being is a complex whole and only bodies of texts can attempt to successfully figure out all the finer points. You are the very type of the researcher endowed with great intellectual and imaginative capacities, Jamie Thomas, and your curiosity is very deep. Researches, riddles and mysteries appeal to you and with a remarkable sixth sense and intuition, you endlessly try to unearth the truth, in all areas, like a psychoanalyst or a detective. You are a very secretive and introverted person, you find it difficult to open up and you rather prefer psychoanalysis. In spite of your clear-sightedness, you find it hard to deal with people: your critical mind, tinted with irony and causticity, may be destructive, especially since your determination and your stubbornness do not incline you to giving up. You are fond of provocations and you handle contradictions skilfully even though you may come across as dishonest. Jamie Thomas, it is impossible to hide it: to love, to be loved and to please, all these activities are at the centre of your life. Because you loathe solitude, you are constantly looking for company, and if possible, for an amorous company. It does not mean that you are full of passion all the time: you are refined, delicate and charming and you skilfully make use of customs with moderation and balance, without losing sight of your personal interests. You are ready to adjust and to compromise in all circumstances. You want to love and to remain integrated in your society: love gives precedence to propriety, which is fundamental to you. You are particularly gifted for this game of refined courtesy and politeness where appearances are at least as important as contents; you are able to show what you feel like showing and you achieve your ends with elegance, gentleness and goodness. These are precisely your main assets. No one can say that you are particularly aggressive, Jamie Thomas! Actually, it takes a great deal for you to become able to express your anger because you belong to the wavering type and you are not prone to risk-taking; you loathe violence and you would rather not intervene than start a conflict. Moderation and the happy medium in all things are your favourites. One of the only areas that makes you wage war is injustice, whether you are the one who is stricken or whether it is someone who is helpless. In this particular field, as in that of sexuality, you are not impulsive and you appreciate it very much when your partner shows the way, preferably with much serenity and gentleness. Actually, the form and characteristics of your sexuality depend on the rest of your personality. This text is only an excerpt from of Jamie Thomas's portrait. We hope that it will arouse your curiosity, and that it will prompt you to deepen your knowledge of astrology, as well as to visit and use the wide range of free applications at www.astrotheme.com.